Nowadays the app market is full of arcade games giving you variety if the game plays. However, to choose which one will be more productive it’s a hard to for this reason we researched arcade games and found an addictive and eye-catching game that is recently developed for the arcade game lovers. So here we go for our review for a new game app from the same genre. Folks it is time to warm up your trigger thumb and get ready for amazing and the new arcade game, Mega Stacker. Mega Stacker is a game that comes with an amazing and cool environment to relieve your mind. The game is simple on the surface- when you will start the game you will see some colored brick falling down from the top towards the bottom of the screen, now what you have to do is simply stack these falling blocks in a proper way by using the game controls that are quite easy to understand. 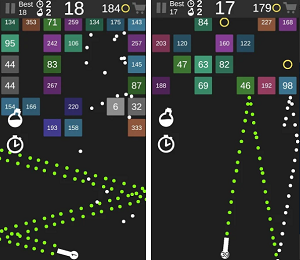 The game needs your strong attention power to place each of the free-falling blocks in its best position. Mega Stacker offers you the smart gameplay and there are no annoying moments in the game. 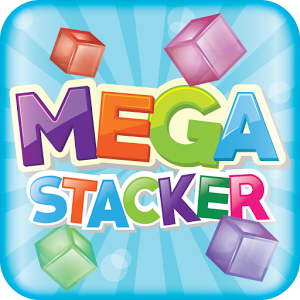 The game brings you a chance to play by using 5 mega block stacking machines with dozens of achievements and boosters. It also brings you the game center connected leaderboards to make the gameplay even more interesting and challenging always. This game offers many other excitement for its players like a free spin after 10 minutes of gameplay and you can play with about 100 different cubes designs. Moreover, another best part of the game is its 11 different wallpapers that you can equip in your machine; these wallpapers can be unlocked by collecting different stickers of the same category by using spin bonuses. Presently this game is available free to install and download for iOS and Android OS devices and you can get it for your device by tapping the direct download link given below.